the 1955 release of the official records of the Yalta conference was headline news around the world? [And] the U.S. Government used its own diplomatic correspondence as a weapon against the Confederacy during the Civil War? Throughout the 20th century, the Foreign Relations series evolved in response to broader transformations in American foreign relations, government institutions, and political culture. The most enduring of these transformations occurred in the 1950s, when the series adapted to the development of the national security state and the globalization of U.S. power. The intense bureaucratic, partisan, and international controversies generated by the 1955 FRUS volume for the 1945 Yalta conference helped define the series for the Cold War. The Yalta volume precipitated the transformation of FRUS, though the controversies that it sparked also imperiled the existence of the series ... In the short run, however, the Yalta FRUS also emboldened officials in the U.S. Government skeptical of the value of transparency in a dangerous world. The Yalta volume began as a classified policy study for official use within the U.S. Government in November 1947 ... 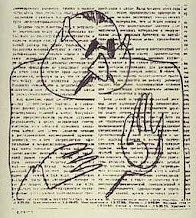 In 1950, the question of wider publication arose as partisan debate over the conference intensified. Bernard Noble, head of the Historical Policy Research Division ... warned [SecState Dean Acheson] that portions of conference minutes might embarrass the U.S. and Britain, that the lack of agreed minutes might allow the Soviet Union to release an “alternate” version of the conference to galvanize world opinion against the West, and that the Department’s poor wartime record-keeping left it incapable of satisfying inevitable public demands for releasing the records of the other conferences. Choosing security over transparency, the Department kept the Yalta records secret. The continued sensitivity of many of the issues discussed at the wartime conferences and the partisan aura of the accelerated production of FRUS alarmed other government agencies and former officials. It took years for [the Historical Division] to gain access to Truman’s papers for the Potsdam compilation, and the office was denied permission to examine the papers of the deceased Yalta Secretary of State, Edward Stettinius. Even some bureaucracies that had cooperated with the original policy study resisted additional requests. The most consequential bureaucratic opposition to releasing the Yalta volume came from the Pentagon. In an August 1954 review of the first galley proofs of the volume, Winnacker expressed “a sense of shock when reading in the present EDC atmosphere the actual 1945 plans for the postwar treatment of Germany, its dismemberment, reparations, and standard of living” and thought “the cavalier disposal of smaller countries or the attitude toward France” were “not likely to facilitate our foreign relations.” Winnacker warned that gaps and the selective inclusion of pre-conference documents would discredit the publication. He suggested either abandoning the project, allowing the Senate to publish a revised version in exchange for increased mutual assistance funds to “undo the damage” abroad, or “prohibiting” the volume’s “export or republication in foreign languages.” Although conceding that final authority rested with State, Winnacker ardently believed that publication would harm the national interest. The Bureau of European Affairs within the State Department itself also considered the Yalta volume too sensitive to release. To officials responsible for U.S. policy toward Germany, releasing the Yalta compilation seemed recklessly irresponsible. [The new SecState John Foster] Dulles grew increasingly frustrated, and when, in late January, McCardle worried that the intense interest in the Yalta volume made leaks inevitable, the Secretary confessed he “wouldn’t mind that.” In the same conversation, he pointed out that Senator Knowland and his conservative colleagues had pushed the State Department to expedite FRUS because “they thought there was a lot of stuff which would be useful. Actually there is nothing.” After several weeks of debate, Dulles accepted Noble’s suggestion of limiting access to the galleys (and responsibility for leaks) to Congress. But, with the Democrats back in power, this strategy backfired. Congress refused to accept responsibility for classified documents and demanded to know why State didn’t publish the volume itself. As rumors swirled about the contents of the Yalta papers and the true reasons they could not be released, New York Times reporter James Reston approached McCardle and offered to publish the Yalta records in full to prevent damage from their piecemeal release. On March 15, 1955, McCardle gave Reston a copy of the Yalta galleys. The Chicago Tribune quickly caught wind of the scoop and enlisted Illinois Senate Republican Everett Dirksen to demand that Dulles release the volume to everyone. Backed into a corner, Dulles cabled London to explain that he had no choice but to release the volume. Eden accepted the fait accompli. There is much more, but that's enough to convince me of something I had thought about before. The WikiLeaks release of State Department cables was a reckless and juvenile imitation of the more mature high drama that has accompanied the FRUS series. But I maintain serene confidence in ADA and their new Chinese language proficiency. The press is at it again. Tearing down hard-working government employees for no good reason. Washington (CNN) -- Members of the House of Representatives reported up to $6.1 million in staff bonuses between January and March, giving out bonuses as they debated spending cuts and came within minutes of shutting down government over fiscal problems, a CNN investigation has found. At least one congressman gave thousands of dollars to his own staff as he criticized other federal workers as being overpaid. Members of both political parties reported bonuses, though Democrats outspent Republicans, with up to $3.1 million in staff bonuses compared with $908,000 for GOP members. The remaining $2.1 million CNN found was disbursed by committees. Committee spokesmen did not respond or were not able to delineate between Democratic and Republican staff members. "These are congressional staffers getting bonuses while a lot of the constituents of the lawmakers are actually looking for jobs," said Steve Ellis, vice president of Taxpayers for Common Sense. The bonuses came from an annual budget each member of Congress is given for staff, office space, travel and supplies. That allowance averages $1.5 million per year per office and is one of the few areas where each lawmaker has complete authority. But many others confirmed that the expenses were bonuses and defended them. Rep. Jim Clyburn, D-South Carolina, served as majority whip for four years when Democrats controlled the House. On January first and second of this year, immediately before Republicans took over, he gave out some $79,000 in bonuses to his leadership staff. In a statement, Clyburn wrote: "My staff worked extremely hard, spending very long hours on the Hill including quite a few all-nighters and many weekends. I was fortunate to have a dedicated staff, and I rewarded them with an end-of-the-year bonus that came from the remaining unspent funds allocated to my office." Ah, so that explains it. Congressional staffers work long hours - and even weekends! - so they're deserving of our gratitude. If a Congressman's office has unspent funds at the end of the year, which itself is a tribute to the staff's excellent financial management, why not just let the staff keep it? Who would begrudge them a little extra pay? Maybe that guy who is playing the world's smallest violin would, but not me. Not me. Rep. Virginia Foxx, R-North Carolina, similarly told CNN she didn't know if she'd given bonuses. She defended congressional staff in general. "I think that for the most part, people work for very low wages, they work long hours and I think out of my staff I get very good service for the salaries they get," Foxx said. [S]ome members of Congress who gave bonuses have railed publicly against federal worker pay. Rep. Dennis Ross, R-Florida, held a hearing on the subject in March and opened with a strong statement, saying, "Our taxpayers can no longer be asked to foot the bill for these federal employees while watching their own salaries remain flat and their benefits erode." But as he criticized federal workers as being overpaid, Ross reported $8,750 in what looks like bonuses to his his own, personal office staff. His office did not respond to a request for clarification and comment. He didn't respond, you say? Well, CNN, I expect that Representative Ross was far too busy doing the people's business late into the night and on weekends to take time out to answer your frivolous questions. That rather devastating report from France on the composition of the Libyan rebel coalition is now available in English on the website of the Centre Français de Recherche sur le Renseignement, one of the two organizations that produced it last month. Read it here. It is hardly necessary to emphasise the nature of the dictatorship imposed, since 1969, by Muammar Gaddafi upon his populace. In the light of such a situation, nothing is more understandable than the wish to have more freedom and democracy. Nonetheless the study undertaken of the facts leads us to confirm that the Libyan ‘revolution’ is neither democratic, nor spontaneous. It consists of an armed uprising in the Eastern part of the country, driven by revenge and rebellion, which attempts to pass itself off as part of the ‘Arab Spring’ which it in no way derives from. The Libyan insurgency cannot therefore be compared to the popular uprisings of Tunisia and Egypt. opposition to the existing regime. The true democrats therein are only a minority and must live alongside ex members of Colonel Gaddafi’s government, those who want the return of the monarchy and those who want to implement radical Islam. Consequently the TNC does not offer any guarantee for the future in spite of the democrats wishes, since the other factions will definitely steer the Council towards their own objectives. Overall Libya is the only country of the ‘Arab spring’ in which the Islamic risk is increased. The Cyrenaica is an area of the Arab world that has sent the most jihadists to fight the Americans in Iraq. It seems therefore that the Western powers have demonstrated a shameful adventurism by involving themselves in this crisis, unless it results from a completely cynical Machiavellianism. That which was supposed to be an easy victory has turned into a semi-­failure, that only the media conceal, because of the inconsistency of the rebels. The stalemate of the actions of the insurgents leaves the western nations only two possibilities; an inglorious retreat or an intensified involvement in the conflict, that involves sending in ground forces. The Western intervention is in the process of creating more problems than it solves. It risks destabilising all North Africa, the Sahara, the near east, and assisting in the emergence of a new type of radical Islam or even terrorism in Cyrenaica. The coalition may succeed perhaps in removing the Libyan leader. But the West must beware that his replacement may result in a more radical and even less democratic regime. The original title of the report is Libye: un avenir incertain. Evidently, that translates into English as "a bucket of cold water thrown on humanitarian interventionist romanticism." The report identifies four factions among the members of the eastern Libyan National Transitional Council (NTC). Apart from a minority of “true democrats,” the other three factions comprise partisans of a restoration of the monarchy that was overthrown by Qaddafi in 1969, Islamic extremists seeking the establishment of an Islamic state, and former fixtures of the Qaddafi regime who defected to the rebels for opportunistic or other reasons. The most prominent of the defectors, the president of the NTC, Mustafa Abdul Jalil, is likewise described by the authors as a “traditionalist” who is “supported by the Islamists.” The authors point out that Jalil played an important role in the “Bulgarian nurses affair,” so called for five Bulgarian nurses who, along with a Palestinian doctor, were charged with deliberately infecting hundreds of children with AIDS in a hospital in Benghazi. As chair of the Appeals Court in Tripoli, Jalil twice upheld the death penalty for the nurses. In 2007, the nurses and the Palestinian doctor were released by the Libyan government following negotiations in which French president Nicolas Sarkozy’s then wife, Cecilia, played a highly publicized role. The information about King Idris, the Senussi Botherhood, and the "monarchist-fundamentalist" faction, was surprising news to me. The full report is here, but only in French. Interesting that it was French researchers who did this work, given that the French government was the primary actor in starting this NATO intervention, and the first - I believe - to extend diplomatic recognition to the National Transitional Council. Drop whatever else you're doing and go to Wired.com's Danger Room to help them re-brand Al Qaeda. Play Don Draper for a moment. What do you think about when you think about al-Qaida? The senseless slaughter of innocents, right? As it turned out, even Osama bin Laden thought his terrorist organization needed an image reboot. All Your Beards Are Belong To Us! Which way should they go? Upscale, or mass market? Corporate, or touchy-feely? Techno-geek, or pious? I suggest a cool rap name, either "Serious Trigga Osama" or "Qaeda Q Daddy." It seems that the late Osama Bin Laden believed the West had beaten him in the public image battle within the Muslim world, and he was searching for a re-branding strategy when he abruptly assumed room temperature. As Osama bin Laden watched his terrorist organization get picked apart, he lamented in his final writings that al-Qaida was suffering from a marketing problem. His group was killing too many Muslims and that was bad for business. The West was winning the public relations fight. All his old comrades were dead and he barely knew their replacements. Faced with these challenges, bin Laden, who hated the United States and decried capitalism, considered a most American of business strategies. Like Blackwater, ValuJet and Philip Morris, perhaps what al-Qaida really needed was a fresh start under a new name. The problem with the name al-Qaida, bin Laden wrote in a letter recovered from his compound in Pakistan, was that it lacked a religious element, something to convince Muslims worldwide that they are in a holy war with America. At the White House, the documents were taken as positive reinforcement for President Barack Obama's effort to eliminate religiously charged words from the government's language of terrorism. Words like "jihad," which also has a peaceful religious meaning, are out. "Islamic radical" has been nixed in favor of "terrorist" and "mass murderer." Though former members of President George W. Bush's administration have backed that effort, it also has drawn ridicule from critics who said the president was being too politically correct. That effort to "eliminate religiously charged words" from the USG's messaging to the Muslim world goes back at least as far as 2008 - remind me, who was President then? - when the leak of an official document from the Counterterrorism Communications Center caused a big internet stir about how the State Department had supposedly banned the word "Jihad" from its lexicon. At least, that was the internet meme of three years ago. Google "State Department bans the word Jihad" for examples. Typically weasel-wording obscurantist Foggy Bottom political correctness run amok, etc., etc. But today, it looks like that communications strategy had its intended effect. OBL believed that he and al Qaeda had failed to associate themselves with the Ummah, the commonwealth of Islamic believers, in the eyes of the Muslim world, where they were increasingly seen as merely terrorists rather than noble Jihadis. The fact that the USG refrained from branding them Jihadis may have contributed to the failure of OBL's strategy. Anyway, we didn't shoot ourselves in the foot for a change. Those guys at the Counterterrorism Communications Center in International Information Programs ought to be taking a bow right now. By the way, does the Counterterrorism Communications Center still exist? H/T to the History News Network for running an article by William J. Astore about How the Military and the Civilian Are Blurring in Washington. The article is well worth reading in its entirety, but it also has this arresting image of the relationship between the U.S. military and the State Department. In the process [of post-9/11 military enlargement and expansion into foreign policy], the military has gained a kind of unspoken and distinctly un-American primacy. Put another way, after a decade-long budgetary feeding frenzy, the Pentagon has soared, while an eclipsed Department of State, all those civilian diplomats, has been left to eke out a living on budgetary scraps or, as in Iraq today, arm and militarize itself. 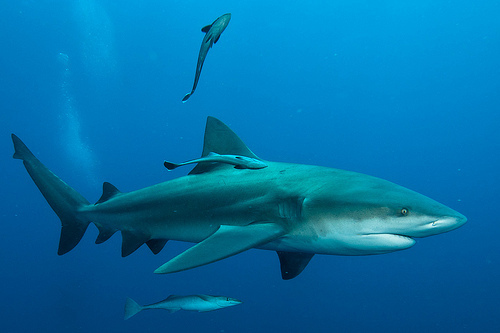 State, in other words, has become a remora clinging to the predatory shark that is the Department of Defense. A Remora, also called a Suckerfish, is a parasite that attaches to a host species, commonly to a shark, using the host as transport and protection whjle also feeding on scraps dropped by the host. The comparison is disturbingly apt. I've been following Consul-at-Arms and cheering as he defends the Constitutional powers of Congress against the administration's interpretation dismissal of the War Powers Act. As I'm sure you know, President Obama started the Libyan action with a March 21 letter to Congress that cited the requirements of the War Powers Act ("I am providing this report as part of my efforts to keep the Congress fully informed, consistent with the War Powers Resolution. I appreciate the support of the Congress in this action") but, when the May 20 deadline for withdrawal approached, he changed his mind about those requirements. This morning, as I caught up on my reading, I saw that both the New York Times and the Washington Post have attacked the administration's position that the War Powers Act no longer applies to its military action in Libya. The Mainstream Media in a united front with CAA? I must be dreaming. It could be that I'm suffering from delayed jet-lag, but my first thought was - "what country am I in today?" I can't remember the last time the MSM ganged up on a Democratic President, and especially not over an expansion of Presidential power at the expense of Congress. A White House spokesman, Eric Schultz, said there had been “a full airing of views within the administration and a robust process” that led Mr. Obama to his view that the Libya campaign was not covered by a provision of the War Powers Resolution that requires presidents to halt unauthorized hostilities after 60 days. The White House unveiled its interpretation of the War Powers Resolution in a package about Libya it sent to Congress late Wednesday. On Thursday, the House speaker, John A. Boehner, Republican of Ohio, demanded to know whether the Office of Legal Counsel had agreed. As the May 20 deadline approached, Mr. Johnson advocated stopping the drone strikes as a way to bolster the view that the remaining activities in support of NATO allies were not subject to the deadline, officials said. But Mr. Obama ultimately decided that there was no legal requirement to change anything about the military mission. The theory Mr. Obama embraced holds that American forces have not been in “hostilities” as envisioned by the War Powers Resolution at least since early April, when NATO took over the responsibility for the no-fly zone and the United States shifted to a supporting role providing refueling assistance and surveillance — although remotely piloted American drones are still periodically firing missiles. The administration has also emphasized that there are no troops on the ground, that Libyan forces are unable to fire at them meaningfully and that the military mission is constrained from escalating by a United Nations Security Council resolution. THE OBAMA administration’s depiction of its Libya venture as too halfhearted to be covered by the War Powers Resolution contains an unfortunately large dollop of truth. President Obama’s commitment is sufficiently halfhearted to undermine the NATO alliance. It is sufficiently halfhearted, and confused in its statement of purpose and its connection of ends to means, to give Moammar Gaddafi hope that he can hang on. It is not, however, so halfhearted as to justify the administration’s evasion of its legal duties under the war powers law. The administration argued in a report to Congress released this week that it need not seek approval because the operations in Libya “are distinct from the kind of ‘hostilities’ contemplated” by the War Powers Act. “U.S. operations do not involve sustained fighting or active exchanges of fire with hostile forces, nor do they involve the presence of U.S. ground troops, U.S. casualties or a serious threat thereof, or any significant chance of escalation into a conflict characterized by those factors,” the report states. Problem is, the War Powers Act does not define “hostilities” as requiring boots on the ground or exchanges with hostile forces. The act, in fact, does not define hostilities, leaving a vacuum that Mr. Obama and his predecessors have exploited in self-serving ways. We believe that an honest appraisal of the activities that the United States continues to engage in would put the administration squarely within the purview of the War Powers Resolution. By the administration’s own account, these include airstrikes aimed at “suppress[ing] enemy air defense,” “occasional strikes by unmanned Predator” drones, and intelligence and logistical support that aid other NATO members in carrying out their strikes. We supported Mr. Obama’s decision to join NATO allies in the U.N.- sanctioned effort to keep Libyan strongman Gaddafi from slaughtering his people. The president is right to sustain the effort until a regime less dangerous to its own people is installed, and he would be wise to heed U.S. allies and join in the effort more robustly. But it strikes us as fatuous to argue that the United States is not engaged in hostilities, given that the NATO bombing campaign could not be taking place without active U.S. support. Mr. Obama is not the first president to pretend to comply while skirting the law’s most important provision, but precedent does not make the practice more appealing. Did the WaPo just call Obama's position halfhearted, confused, undermining of the NATO alliance, and an evasion of his legal duty? Yes, and all in the first paragraph. And then they added that he is dishonestly quibbling about the definition of "hostilities" and making a fatuous argument to skirt the War Powers Act's most important provision. I'm going to lie down until the dizziness passes. If the WaPo's editorial is still there after I wake up, then I'll know that we have passed some kind of political milestone. Here's a belated salute to my favorite government institution on the occasion of the U.S. Army’s Birthday: 14 June 1775. 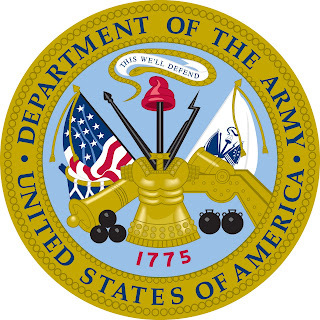 I'm always intrigued by the fact that the U.S. Army predates by one year the founding of the nation it serves. Former Senator John Edwards sure takes a good-looking mug shot. 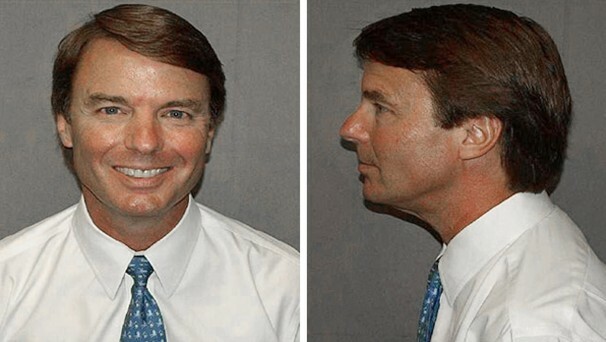 If they have hair stylist vocational training in prison, Edwards will have a promising second career when he gets out of Club Fed. I've been hard at work over here - see my BlackBerry, PDA, and notebook on the table next to my noontime nosh? - but soon it will be time to put down the pick and return to my domestic office routine. I've been becalmed in the internet doldrums for about ten days now, so I'm out of touch with the Blogosphere. The hectic pace of work - cough, cough - has prevented me from surfing the web as usual. That, plus the infuriating lack of a free Wi-Fi signal in or near my fancy TDY hotel. It seems every coffee shop in Israel has free Wi-Fi, but the further upscale you go the rarer it is to get a freebie. I may have to consider actually paying money for internet access like it was, I don't know, 1990 or something. Funny thing - When I visited a Jerusalem convent hostel the other day, one of the Sisters told me "we have wine list here." At least, that's what I heard. But it turned out she really said "we have wireless here." And so they do, free Wi-Fi all throughout the residences, chapels, dining hall, and grounds. Next time, I'm staying there. And I'm off for a week or two of TDY, during which I will subject myself to flights of over 14 hours in economy class, at great risk to my physical and mental well-being. I'm not taking a computer with me, in order to lighten the load in my carry-on bag. I find I can stay in touch pretty well by using an old Palm T/X to catch free Wi-Fi signals in coffee shops. I'll read the Weekly Round-Up on that little 320x480 screen while on the beach in Tel Aviv this Friday. And, if I'm patient enough to enter text with a tiny stylus, I should be able to send a few posts. Local news media were present during a stand-off between four consulate employees and Pakistani military and police in Peshawar today. It appears to have been a standard exercise in harassment, with the military stopping and holding one of our vehicles, and our employees refusing to either get out of their car or to move it elsewhere. Once diplomatic identities were established, our employees were free to go. PESHAWAR: Army personnel detained four Americans after they were stopped at an army check post in Peshawar. However, they were allowed to leave after almost two hours. According to Express 24/7 reporter Sumaira Khan, the foreigners travelling in a grey land cruiser were stopped at an army check post opposite the destroyed CID office after they failed to follow protocol. FC Cantt. released a statement saying they men were released after official confirmation was received verifying the identities of the four men. Their passports and documents were in order. A police officer on site said that the misunderstanding came about after the American officials failed to follow protocol. Given the current law and order situation, police and army personnel took every precaution to ensure the safety of foreigners in the area. It was initially believed that these men were members of Blackwater or Xe corporation. The foreigners said they maintained that they were staff of the US consulate and lived in the diplomatic enclave. It was later verified that the four men in fact belonged to the US embassy in Islamabad and were present lawfully in the country. The number plate displayed on the back of their car, bearing numbers IDF 7582, was found to be fake. The car also had another numberplate, one which is normally issued to diplomats, resting on their dashboard bearing numbers CD-64-164. They refused to talk to either the media or Pakistani security officials present at the scene. They had failed to follow protocol reserved for foreigners moving in the city. US officials are supposed to inform police and intelligence officials. The check post where they were stopped is near Gora Qabristan area of Peshawar and is in close vicinity of the destroyed CID office in Peshawar as well as an SSG paratroopers schools along with residences of FIA and intelligence officials. Police and army officials released the men after official confirmation of their links with the US consulate was received. The four men had produced documents including a diplomatic passport, indicating that they were staff of the US consulate. Their visas were valid. The had locked themselves in their car and were refusing to speak to security officials, waiting for a representative from the US consulate or the embassy. It was two weeks ago that another consulate vehicle was ambushed with a roadside bomb while traveling in the vicinity of Jamrud Road. Even without that photo above, I can easily imagine how the tension of living under constant threat from both terrorist groups and our host government's security services is wearing on our employees in Peshawar. The Saudis have been negotiating a cease-fire in Yemen's civil war, and now it looks like they might go a step further and ease President Saleh out of the country. Supposedly, Saleh was only slightly wounded in that attack, but he hasn't been seen in public since. For him to leave the country now is almost as good as an admission that he is stepping down. 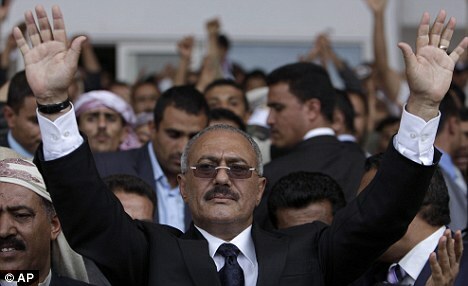 WASHINGTON — President Ali Abdullah Saleh of Yemen was being taken to Saudi Arabia for medical treatment on Saturday, a day after an attack on his compound wounded him and several members of his ruling circle, Saudi officials said. Since the attack, which Mr. Saleh blamed on his tribal rivals, the Ahmar family, Yemeni officials have insisted that the president was only lightly injured. But he did not make an expected appearance on television on Friday, instead releasing an audiotape in which he slurred his words, suggesting that he might be sedated. The Saudi announcement, which was denied by Yemeni officials, raises further questions about the extent of his injuries. And it may present an avenue for change in a Yemeni political crisis that has seemed unsolvable in recent months, in part because of Mr. Saleh’s repeated refusal to step aside in favor of a coalition government favored by other leaders in the region. Earlier Saturday, at least six other Yemeni officials who were injured in the attack were transported to Saudi Arabia for medical treatment, according to a statement released by Yemen’s official news agency. 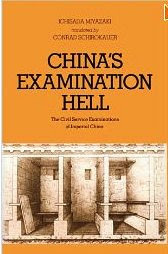 They were all said to be high-ranking members of the ruling party, including the prime minister. The attack, apparently using a mortar or rocket, caused an explosion in a mosque on the grounds of the expansive presidential palace where the men were praying. Seven of the president’s guards were killed in the attack and at least nine people were wounded beside Mr. Saleh. It isn't clear to me whether Saleh has actually departed Yemen at this time, or if he has merely accepted the Saudi's offer. Once he is in the Saudi's hands, he is no longer really in control in Yemen. 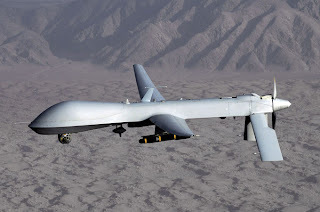 DERA ISMAIL KHAN, Pakistan – A top al-Qaida commander and possible replacement for Osama bin Laden was killed in an American drone-fired missile strike close to the Afghan border, the militant group he heads and a Pakistani intelligence official said Saturday. Ilyas Kashmiri's death is another blow to al-Qaida just over a month after bin Laden was killed by American commandos in a northwest Pakistani army town. Described by U.S. officials as al-Qaida's military operations chief in Pakistan, he was one of five most-wanted militant leaders in the country, accused in a string of bloody attacks, including the 2008 Mumbai massacre. His death was not confirmed publicly by the United States or Pakistani officials. Verifying who has been killed in the drone strikes is difficult. Initial reports have turned out to be wrong in the past, or are never formally denied or confirmed by authorities here or in the United States. The 47-year-old Pakistani, said to be blind in one eye and missing a finger, was one of the country's most accomplished — and vicious — militants. He was so close to al-Qaida's central command that he had been mentioned as a contender for replacing bin Laden. The American diplomat was David Foy, who was accompanied by Iftikhar Ahmed, a local employee of the consulate, when they were ambushed as their car approached the consulate's outer checkpoint. A Pakistani Army Ranger assigned to the checkpoint was also killed. The U.S. State Department had recently offered a reward of up to $5 million for information leading to the location of Kashmiri. Do we owe someone some money? If so, that is exactly how I would want my tax money spent. H/T to The Snake's Mommy for telling me about the most interesting Cold War history artifact that I've seen in some time, a CIA in-house documentary film about the long imprisonment in China of CIA Operations Officers John Downey and Richard Fecteau. Beijing’s capture, imprisonment, and eventual release of CIA officers John T. Downey and Richard G. Fecteau is an amazing story that too few know about today. Shot down over Communist China on their first operational mission in 1952, these young men spent the next two decades imprisoned, often in solitary confinement, while their government officially denied they were CIA officers. Fecteau was released in 1971, Downey in 1973. They came home to an America vastly different from the place they had left, but both adjusted surprisingly well and continue to live full lives. Even though Downey and Fecteau were welcomed back as heroes by the CIA family more than 30 years ago and their story has been covered in open literature — albeit in short and generally flawed accounts — institutional memory regarding these brave officers has dimmed. Their ordeal is not well known among today’s officers, judging by the surprise and wonder CIA historians encounter when relating it in internal lectures and training courses. Downey and Fecteau were not joyriding on a CIA support flight over China, as the "generally flawed" accounts had it, but were assigned to that flight in order to operate a winch and recover an agent who was to be picked up from the ground using the All-American System, a modified version of a military mail retrieval technique. [See more on that system here. My thanks to commenter Charles Lathrop for correcting my error in first describing that as the Skyhook system, which was a later development.] However, the agents on the ground had been captured and were fully cooperating with the Chinese, and the support flight was shot down. The doubled agents even sent a signal reporting that the agent extraction had been successful, with the result that the CIA assumed its aircraft must have crashed on its return flight, and all aboard were initially reported dead. The documentary is titled "Extraordinary Fidelity." You can watch it on YouTube, or - but only if you have an hour to spare - click on the embedded video below. This appears to have been a minor and ineffective attack, employing very small explosive charges set inside or underneath two or three cars in the parking lot of the Tibesti Hotel, the place where most diplomatic organizations that are in contact with the rebel's National Transitional Council have set up shop. (Check the flags in the photo above to see which countries have a presence there.) Rebel spokesmen have said that no one was killed or injured. BENGHAZI, Libya — An explosion struck Wednesday evening in a parking lot outside a Benghazi hotel that was a central meeting place for Libya rebel leaders, diplomats and journalists. It was not immediately clear whether there were any injuries. Footage on the satellite channel Al Jazeera showed two cars on fire, and at least three others that appeared to be badly damaged, suggesting the blast was caused by a car bomb. The parking lot stretches in front of the Tibesti Hotel, where diplomats, including the United States envoy, have been staying while in Benghazi, the eastern Libyan city that has been the base of the uprising against the Col. Muammar el-Qaddafi. But the hotel is only lightly guarded by uniformed security guards and soldiers. The United Nations and other groups also keep offices in the hotel, which has become a hub of power for the rebel leadership. The hotel coffee shop serves as a favorite spot for deal-making and negotiations. In recent days, the European Union foreign policy chief, Catherine Ashton, along with the Italian foreign minister, Franco Frattini, held news conferences at the hotel. Abdul-Basit al-Shihida, a senior rebel security official, blamed Gadhafi agents. "The initial investigation showed that it was a TNT bomb that was thrown under the car. We have video from the hotel that shows the cars." The video did not show anyone throwing a bomb, but he insisted the bomb, about 200 grams (7 ounces) of TNT, was not inside the vehicle. Driver Ahmed Gulak, 35, driver, said he was in the hotel when bomb went off. "I heard an explosion and went out to see what happened. I saw two cars on fire," he said, blaming agents of the Gadhafi regime. He said he drove his own car away from the scene despite a shattered windshield. The photos indicate how small the bomb blasts were, because there appears to be no collateral damage around the burning cars. Note in particular the unbroken glass globes on the parking lot's light poles. That substantiates the rebel security official's estimate that the explosive charges were in the 200 gram range. My bottom line: It wasn't much of an attack, but it demonstrates that Qaddafi loyalists are present and willing to act against the international community in Benghazi. And, of course, it underlines the lack of security around those international entities. Here's hoping that the U.S. and other nations with diplomats in the Tibesti will step up their game. If they have sufficient national interest to send representatives to Benghazi in the first place, then they have sufficient interest to see that those representatives are reasonably well protected.